Barbara Burleigh, associate professor of immunology and infectious diseases, studies Chagas disease, a leading cause of infectious heart failure. The disease is a major health and economic burden in Latin America, where it’s endemic, with roughly 8 million people infected and another 100 million individuals at risk of infection, mostly in rural, resource-poor settings. Have you seen one of these on your deck? How does Chagas disease cause infectious heart failure, and does it affect many people in the U.S? Chagas is one of a group of so-called “neglected tropical diseases”—diseases that mainly affect the poorest countries and that have typically been overlooked because of the world’s focus on the “big three” diseases with the highest mortality rates: HIV/AIDS, malaria, and tuberculosis.In people with Chagas disease, it takes decades after the initial infection for severe symptoms to appear—which is why the disease is sometimes referred to as “the silent killer.” Symptoms include heart failure as well as severe swelling of the esophagus and/or colon, which greatly interferes with digestion. Chagas appears in people chronically infected with Trypanosoma cruzi, typically transmitted via contact with the feces of a blood-sucking insect called the triatomine, or “kissing bug.” Although triatomine bugs are found in the U.S.—mostly in the southern half of the country—people here have rarely been infected through bug bites, because the bugs thrive mainly in cracks and holes in houses made of mud or adobe or thatch—the kind of housing you’ll find in poorer countries. So, in the U.S., Chagas infections come mostly from infected blood or from mother-to-baby transmission, and are on the rise because of new immigration from Latin America. About 300,000 are infected in the U.S., and it’s estimated that Chagas-related health care costs top $100 million annually. While insect control measures in Latin America and donor blood screening both there and in the U.S. have helped lower the incidence of new cases of Chagas disease, more needs to be done. There’s no vaccine for the disease and the two Chagas drugs available—nifurtimox and benznidazole—can provide a cure only if taken very soon after the initial infection. That means that costs will continue to rise for those with Chagas disease, who are often infected as children, develop heart failure at relatively young ages (40s and 50s), and who may require extensive cardiac care, including heart transplants. What sparked your interest in studying this “neglected” disease? Since I was a graduate student, I have gravitated toward parasitic diseases that impact populations in the developing world. It is the fascinating biology of the Chagas disease parasite, T. cruzi, that attracted me initially, but the fact that this is a neglected disease afflicting millions motivates me to find ways to combat it. There is still so much to learn about how this pathogen establishes and maintains infection that persists for decades, and about the cellular and metabolic processes involved. Gaining insights into these processes at the molecular level will have significant implications for the understanding and treatment of chronic Chagas disease. How close do you think we are to finding an effective way to combat this disease? It’s hard to say. For a long time, Chagas was neglected because pharmaceutical companies don’t see poverty-stricken populations as a market. Now, with increased emphasis on developing drugs to combat neglected tropical diseases—supported by the U.S. government, the World Health Organization, and other nongovernmental organizations and nonprofits—the Chagas disease agenda has gained traction. While some new compounds look promising, recent clinical trials in humans have been disappointing. These failures suggest a complexity associated with persistent human infection that we do not understand. It’s possible that the parasite is able to adapt in order to avoid harm from the medications being used. By studying this possibility at the molecular level, we might be able to pinpoint the mechanisms at play in Chagas disease—which could lead to the development of more effective drugs to fight it. If Thomas Cropper, a public-health veterinarian at Lackland Air Force Base, in San Antonio, Texas, thought about Chagas disease at all, he thought about it as a Central and South American problem. Named after the Brazilian physician who described it, in 1909, Chagas is a classic—one might say egregious—example of a neglected tropical disease. It is caused by the protozoan parasite Trypanosoma cruzi, which is delivered to its host by kissing bugs, known formally as triatomines. The bugs are bloodsuckers—their nickname comes from their penchant for biting near the eyes or mouth—and they can swell to the size of grapes as they feed, causing them to defecate and leave the parasite behind to make its way into the host’s bloodstream. A gross and not particularly efficient mode of transmission, it’s still good enough to have kept Chagas going since pre-Columbian times. According to the World Health Organization’s shifting estimates, between six and seven million people in Latin America are currently infected. If you’re infected but don’t have symptoms, you’re likely to find out only after donating blood. If you do have symptoms, you’re probably in trouble. About a third of Chagas patients develop a chronic form that leads to heart damage and failure. Cropper specializes mainly in zoonoses—diseases transmissible from animals to humans—and in keeping service members away from them. Not long after he arrived at Lackland, in 2008, he learned that a military working dog had developed heart problems while deployed in Kuwait. The dog was returned to Lackland, the home of the Department of Defense’s canine school, and confirmed positive for Chagas. A study of all the working dogs on base, in fact, found that about eight per cent had antibodies against T. cruzi. Many never developed symptoms at all, but young pups would sometimes drop dead without warning. Cropper began asking about Chagas and what the risks might be for humans. “What else are these stupid bugs feeding on?” he wondered. This turned out to be a somewhat urgent question, because Lackland is where about thirty-five thousand Air Force and National Guard recruits are trained every year, often outdoors. The base encompasses a vast, cactus-strewn wilderness with populations of wood rats, armadillos, skunks, opossums, and other easy targets for a kissing bug. Cropper called in an entomologist, Walter Roachell, and a microbiologist, Candelaria Daniels, from the Army Public Health Command at Joint Base San Antonio. Roachell found five species of kissing bug at Lackland, some in the nests dug by wood rats in the bottoms of cacti. A training instructor who accompanied Roachell claimed that he’d never before seen one of the bugs, even though certain species are distinctive—pretty, even—with their folded wings encircled by what could be described as a striped skirt. “I looked down and pointed out one crawling between his feet,” Roachell told me. Daniels, meanwhile, sought to determine the bugs’ infection rates. More than half of them, her analysis revealed, carried T. cruzi. They were eating a lot of things—wood rats, armadillos, even rattlesnakes. And, more alarmingly, nearly thirty per cent tested positive for human blood. “They were indeed feeding on people,” she said. Cropper had vegetation cut back, insecticide sprayed, and treated bed nets installed where trainees slept, and similar measures were taken around the kennels. At one point, a routine blood donation by an airman, who had neither a history of travel to Latin America nor a mother likely to have transmitted the disease to him in utero, turned up positive. He remembered suffering a swelling around his eye—one early sign of a Chagas infection—which he blamed on dirt. It “may have been feces from the kissing bug,” Cropper said, but no one was really sure. Even among vector-borne tropical diseases, Chagas remains a redheaded stepchild. It’s slower to kill than dengue or malaria, and therefore easier to ignore. Chagas scientists are used to incremental progress, low recognition, and poor funding; they sometimes must scream for attention. (In 2012, one group raised eyebrows after calling Chagas “the new H.I.V.”) Benznidazole, the principal drug that is used to treat the disease, was developed more than forty years ago, and another, nifurtimox, is even older. Both kill the parasite, although a large clinical trial, published last month in the New England Journal of Medicine, found that benznidazole could not halt heart deterioration already in progress. Military science has tightly defined parameters; when it comes to parasitology, only research with practical applications gets funded. In San Antonio, the spectre of risk to personnel—and expensively trained working dogs—meant that a lot of money and attention could be directed toward Chagas. When I visited the lab at Public Health Command Central, Roachell and a microbiologist were designing a pesticide-impregnated mammal food, not unlike the anti-tick treatments that are given orally to dogs, to kill the feeding kissing bugs and interrupt the transmission cycle. In addition, Daniels is working with Cropper and a physician at Lackland on what, to the military, may be the most important of the Chagas studies under way: screening in recent trainees. Three thousand service members are being asked to volunteer blood samples. The researchers have no baseline infection rates to refer to within that group, but so far, with a little more than a tenth of the samples in, no one has tested positive, a sign that the preventive measures have helped. In dogs, only two per cent now have antibodies. Military scientists aren’t the only ones working with Chagas in Texas, even if they may be the best funded. In the past few years, state health officials, entomologists, and academic veterinarians have all launched local studies. This has created the popular impression of Chagas as a new threat, with some articles in the press linking it to climate change or illegal immigration. But what is striking to researchers is how everyone missed Chagas for so long, when the literature shows that Texas—along with much of the rest of the Southwest—has been an endemic Chagas region since people began looking. Local transmission has been documented since 1955 in people, and since 1972 in dogs. Roachell even learned that an exhaustive study on kissing bugs and T. cruzi had been conducted at Lackland and published in 1970. That study reported that the bugs hung out in wood-rat nests and were heavily infected with the parasite—not so different from what he and Daniels found. Still, the idea of Chagas as a foreign illness persisted for half a century. When blood banks nationwide started screening for the disease, in 2007, it was generally assumed that immigrants and their children were the only people at risk. Our native kissing bugs weren’t as effective as vectors as the species in Latin America, it was believed; housing was better here and could not harbor the bugs in the way that mud walls and thatched roofs were known to; the strain of parasite in local bugs caused a milder form of the disease, one that didn’t involve the heart. All myths, it turns out. Two years ago, Sarah Hamer, a veterinarian and assistant professor at Texas A&M University, began asking Texans to scoop up kissing bugs in plastic baggies and mail them to her lab. People sent more than twenty-five hundred samples, often from immediately around their homes. More than half were carriers of T. cruzi. Blood meals from human and canine hosts were not uncommon. A couple of bugs, collected at a zoo, had been feeding on tigers. 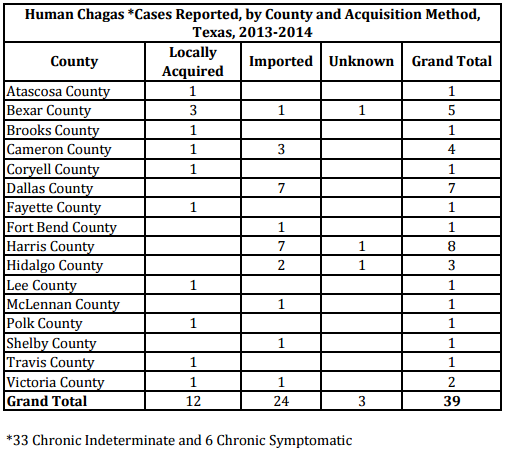 That same year, 2013, Chagas was added to the list of infectious diseases that had to be reported to the Texas Department of State Health Services. This allowed for closer scrutiny of human cases. Thirty-nine were picked up through last year, half of them locally acquired. “That’s one out of every sixty-five hundred blood donors screened,” Melissa Garcia, a research associate at Baylor College of Medicine, in Houston, told me. 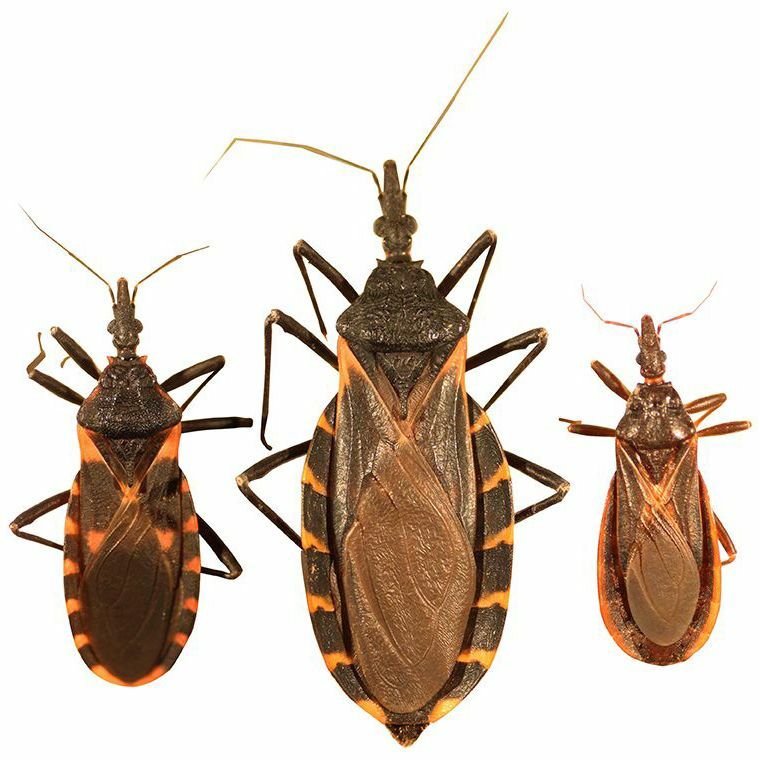 “Pretty high for a rare disease.” In a follow-up study, Garcia found that forty-one per cent of blood donors in southeastern Texas who had acquired Chagas had cardiac abnormalities consistent with the disease, suggesting that local parasite strains are no more benign than tropical ones. “A lot of theories that have sounded comforting to us in the past will not bear out,” she predicted. Kissing bugs are insects that may be infected with Trypanosoma cruzi, the parasite that causes Chagas disease. They are commonly known as cone-nose bugs or chinches. Kissing bugs feed on blood during the night, and they are called kissing bugs because they prefer to bite humans around the mouth or eyes. Citizen science offers the opportunity for non-scientists and scientists to work together to collect large amounts of data. This project is currently seeing the help of citizen scientists (like you!) to submit carefully collected kissing bugs from Texas and throughout the U.S. We are interested in learning more about the distribution of different species of kissing bugs, their infection prevalence over time, and their interactions with host species. If you have come across a suspected kissing bug in or around your home, kennel, yard, or other area, we are interested in hearing about it! Please do not ever touch a kissing bug with your bare hands! The T. cruzi parasite occurs in the feces of kissing bugs, and their bodies may be contaminated. A glove or small plastic bag may be used to catch the bug to avoid direct contact with the bug. 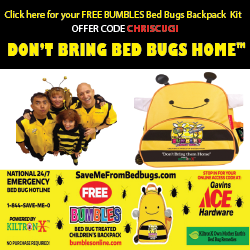 The bug may be stored in a sealed plastic bag, in a vial, or other small container. All surfaces with which the bug came into contact should be thoroughly cleaned with a bleach solution. Map below indicates blood tested positive for Chagas disease in America. FDA.gov | On April 28, 2015, FDA met with patients during one of FDA’s Patient-Focused Drug Development meetings to discuss patients’ concerns regarding their symptoms and treatment options for Chagas disease. These meetings are important as patients have the opportunity to convey their concerns about current medications and the types of medications they would like to see in the future. No drugs have yet been shown to meet standards of safety and efficacy for FDA approval for the treatment of Chagas’ disease, but several potential treatments are in various stages of clinical investigation. Two investigational drugs are available through the Center for Disease Control and Prevention (CDC), at a doctor’s request. Chagas’ disease is a parasitic infection caused by the Trypanosoma cruzi parasite. 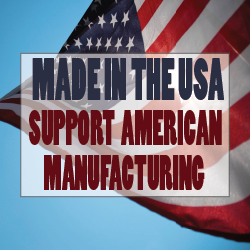 It primarily affects people living in rural parts of Latin America. Recent estimates are that there may be approximately 300,000 persons in the U.S with Chagas’ disease who acquired the infection in areas where the disease is relatively common. Most people with Chagas disease experience only mild or no symptoms and so they don’t realize that they are infected. Only rarely do infected persons experience life-threatening disease in the days to weeks after they are infected (early or acute phase). The infection persists for years and some persons go on to develop serious heart problems or gastrointestinal tract problems years or decades after they have been infected (late or chronic phase). While the diagnosis can be made with blood tests in both early and late phases, many of those infected may never be diagnosed as they may have no symptoms or only very mild symptoms that resolve on their own. In endemic areas, Chagas disease is most commonly spread from insects to humans. The Trypanosoma cruzi parasite is found in the feces of an infected blood-sucking triatomine bug. The parasite from the bug’s feces enters the body through an open wound or mucous membrane. What are the Early and Late Phases of Chagas Disease? 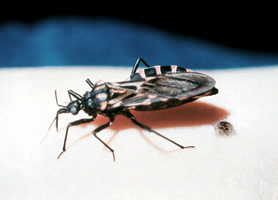 Chagas disease has two phases: an early (or acute) phase and a late (or chronic) phase. Soon after becoming infected, during the early (acute) phase of disease, persons may experience mild, non-specific symptoms such as fevers, body aches, tiredness, and swelling around the site where the parasite entered the body. Most people do not develop medical problems early after becoming infected. Very infrequently (generally less than 1% of the time) the early phase of the disease can be fatal. Because the symptoms of early disease are usually mild and resolve without treatment, most people are not aware that they have been infected. After the early phase of disease, the infection can persist for years. During the late or chronic phase, some persons (about one third) go on to develop serious heart problems or problems with the gastrointestinal tract over the years or decades after infection. Deaths from heart disease are common in this chronic phase and can occur suddenly. Persons with immune disorders, such as HIV or organ transplant patients, are at higher risk of having more severe symptoms. Chagas disease can be diagnosed with blood tests. Many infected persons may not be diagnosed as they may have no symptoms or very mild symptoms at the time of infection that resolved on their own. In 2010, FDA launched a Neglected Tropical Disease Initiative to support the diagnosis, treatment, and prevention of neglected tropical diseases. This initiative was established to identify regulatory pathways and effective approaches to clinical trials to speed the development of new drugs and diagnostics for preventing and treating neglected tropical diseases such as Chagas disease.